Check out these easy and natural pesticides that you can make at home. If you see a lot of aphids, mites, or other small insects on your plants consider making an easy oil spray to help kill these pesky insects. Simply mix together 1 cup of vegetable oil with 1 tablespoon of soap in a jar. Mix two teaspoons of this mixture to spray bottle filled with one quart of water. Shake the mixture and spray directly onto plants to help eliminate insects. The oil will keep insects away without hurting your plants. Spray affected plants every 10 days to keep insects at bay. As suggested by landscape experts, make sure to apply your solution carefully as natural remedies sterilize the surround soil as well. This commonly known natural product is regularly found in the Earth’s crust. Diatomaceous Earth is made up of the sharp remains of miniscule fossilized plants and can be easily found in garden centers. For a do-it-yourself version, rinse and breakdown egg shells into a granular state. Use this natural compound by sprinkling it around plants in your garden. The sharp contents will keep insects away without harming your plants at all. For those homeowners who have a high population of deer in their area, sprinkling soap around gardens is a great way to deter deer from eating your prized petunias. Soap can be used in a few different ways and is a great way to easily deter pests from the garden. Full bars of soap can be used if put on spears in the garden or slices of soap can also be used around the garden area as well. If you have just planted seedlings, consider shaving soap and sprinkling it on the garden bed. The soap deters deer who don’t like the fragrant aroma and will also help to keep bugs away as it dehydrates them in the soil. Soap won’t hurt plants and will last as long as the rain allows it to before being washed away. Highly fragrant soaps, like Irish Spring, are the best choice when using in your garden as a deterrent. Ladybugs are not only pretty to look at but they also are quite the helper when it comes to ridding your garden of unwanted insects like aphids. One ladybug can eat up to 50 aphids a day and they also will help rid your garden of other insects like boil worm, corn earworm, scale, leaf hopper, and mealybugs. Ladybugs can be ordered online and will arrive at your door hungry and ready to feast. Simply open the container at sundown to encourage them to scatter, without flying away, and they will go to work on ridding your garden of insects quickly! 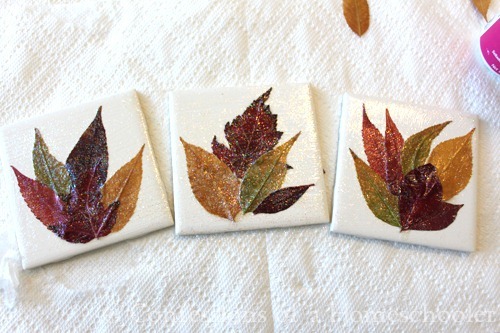 Bring the beauty of fall into your home with these easy DIY decor projects. Ahh Fall Foliage…so beautiful but also SO messy! For those who live in parts of the world that get to experience fall foliage you can relate to the love/hate relationship that comes with the turn of the season. On one hand the beauty of the changing leaves is something we look forward to with the first cool breeze that returns each year. On the other, cleaning up our yards seems like a never ending task. 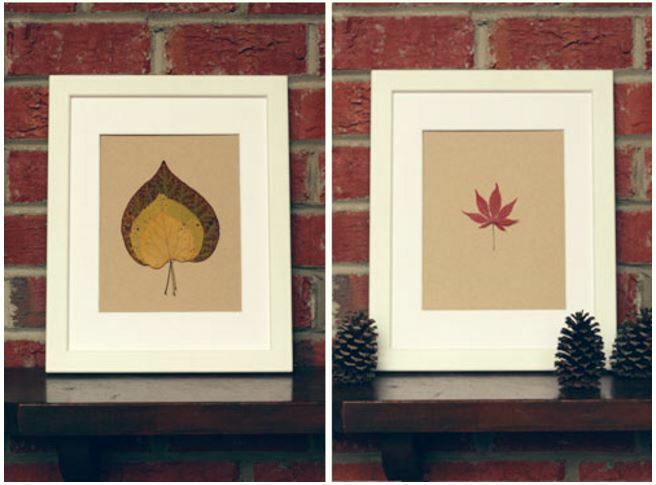 Before you break out your rake and drag that pile of leaves to your curb check out some creative ways you can add the beauty of fall to your home with these DIY leaf decor projects. Treat yourself to a warm welcome home from the moment you walk in the door with a dried leaf wreath (I know you are impressed with my rhyming skills ) Watch Below. So there you have it, five fall projects that will leaf any auntumn fan happy at home. Happy Fall Y’all! Light The Way To A Successful Sale! When presenting your home for sale, the value of curb appeal can’t be emphasized enough. Here are some ways to shine a light on your selling opportunity. Illuminated address sign. Make your address easy to find with an illuminated address sign or at least a spotlight shining on your house number. This is a great idea even if you’re not selling your home, as it allows everyone, from the pizza delivery person to emergency first responders, to find you quickly and easily. A well-lit path. Once the potential buyer finds your house, make sure their trip to the front door is clear and well lit. This is an attractive feature that also doubles as a safety measure for both you and your visitors, who need a clear view and safe access to your home’s entrance. Highlighted landscaping. A lot of time and money goes into creating a beautiful lawn and garden. Consider how to best highlight your outdoor efforts using uplights to illuminate trees from below, and quality solar lights to cast a magical glow to the garden. In many cases, the evening hours are the only time available for potential buyers to view your property. Make sure you present your home in the best possible light with attractive path, patio and landscape lighting systems, no matter what time of day it is! Check Out the Community Raided Bed Garden at the corner of John and Albert Street in Oshawa as well as the Community Garden across the Street. Growing vegetables in raised beds can produce a bountiful harvest in the fall. That may be reason enough to consider raised bed gardening, but there are plenty of others, as well. 1. You can garden anywhere. A raised bed is a frame that contains soil. That means you can orient it to take full advantage of the sun and move it around the yard to find the best location. Pre-made beds come in a variety of sizes, which means you can place them close to the house for convenience. If you don’t have a lot of yard space, you can place your bed on your deck or patio—but if you do, be sure to build or buy a bed with a bottom and legs to keep it raised above the hard surface and allow for proper drainage. 2. You have complete control over the soil your vegetables grow in. Unlike a traditional garden where you start with the soil that is already there and work it to get it to an acceptable level, a raised bed lets you start with a blank slate. You determine the type of soil that is best. Basically, you want soil that contains a large amount of organic matter and drains well. The depth of the soil depends on the depth of the raised bed and the vegetables you will be growing, and whether the bed is open to the soil below. Just be sure to give the roots plenty of room. When it is time to prepare the garden for winter, add a layer of compost to the soil. If you don’t have compost, use shredded leaves and grass clippings or rotted manure. Many gardeners add compost in the spring, which is fine, but adding it in the fall gives it more time to decompose in the soil. Simply till the organic matter into the soil with a garden fork. Replenishing the soil is especially important for raised-bed gardens because they lose soil over time, and like any container, repeated plantings drains the soil of nutrients. Many people simply replace the soil in a raised bed and start over in the spring. That is not necessary. By adding organic matter, you will replenish the soil and keep the container full. Rotating the crops you plant also helps preserve the nutrients in the soil. 3. Raised beds produce higher yields than traditional gardening. Raised beds are not planted in the same manner as a traditional garden. Rather than planting a row of plants with a walkway separating the rows, the plants in a raised bed can be planted block style. In other words, plants are spaced an equal distance in all directions, creating a block of plants that are all spaced equidistance from one another. 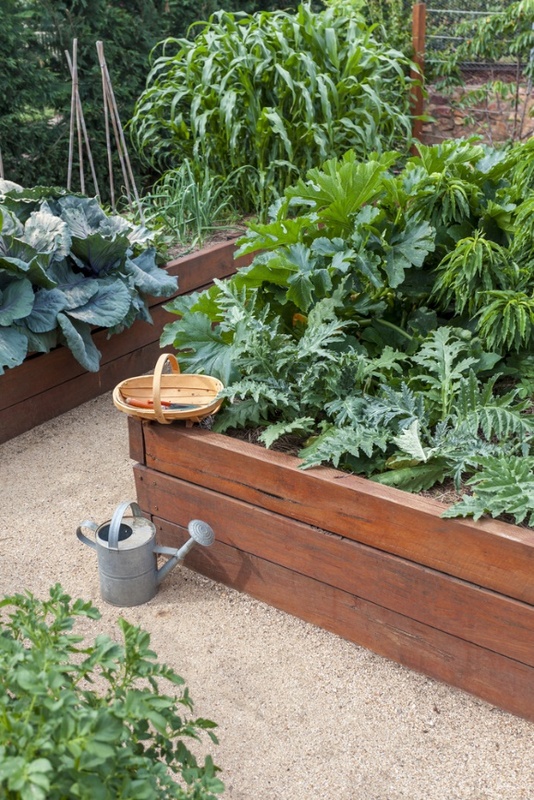 In a publication for the Colorado Master Gardeners program entitled “Block Style Layouts in Raised Vegetable Gardens,” the authors stated that this method of planting yields five times that of a traditional garden. This approach is similar to the one found in the book All New Square Foot Gardening by Mel Bartholomew. Bartholomew starts with a square raised bed and then divides it into one-foot squares. Each square is planted with a different type plant. The number of plants in each square will depend on the size of the plant. These methods result in larger harvests because more plants are put in the ground in a smaller space and the plants are spaced closer together than they would be in a traditional garden. Or, sow seeds by following the “thin to” spacing found on your seed packets. Because gardening conditions vary, experiment with different spacing. This is where a garden diary or log can help. Experience will help you determine the right plant spacing for your garden. Because you don’t walk on a raised bed, there is no fear of compacting the soil, which can harm growing plants and reduce the overall yield. 4. Raised beds require less work than traditional gardens. Because plants are close together in a block layout, weed growth is discouraged, meaning you won’t need to weed often. And if the bed is deep enough and contains a ledge, you can sit and rest on the edge while weeding, trimming or watering. You also won’t need to bend down to reach your plants. Watering a compact raised bed is easier than watering a large row garden. You can use a hose with a wand shower attachment, but soaker hoses or drip-irrigation systems are more efficient. Once they are set up, they deliver water directly to the base of the plant. Attaching a timer to the system is even more efficient. Raised beds are easy to cover to provide protection from the sun or insects. They are also easy to fence in to keep out animals who may raid your garden. 5. Raised beds may be planted earlier than traditional gardens. The soil in a raised bed will warm up sooner than soil in the ground, so you may be able to get your veggies and flowers planted earlier in the growing season than you would with a traditional garden. The beds are also easy to cover if the forecast predicts a spring frost or heavier-than-usual rains. Planting your garden in a raised bed will allow you more control and ease of use. They make it easy to get the garden you dream of with little work and a longer growing season. Outdoor spring cleaning tips are essential this time of year. In Philadelphia, winter leaves behind dull surfaces, chipped concrete, and brown lawns. These tips will help you make your home sparkle this spring! When you are looking for spring cleaning tips, you usually encounter advice to help you get organized, clean up, and reduce clutter inside your home. But winter has taken its toll on the outside of your home, too. These spring cleaning tips will help you get the outside of your home looking pretty in a jiffy! Shoveling and salt can affect your sidewalk. Once the snow melts, it may reveal cracked, chipped concrete. You can fix this yourself with just a few simple supplies you can find at your local home improvement store. Check out this sidewalk repair guidethat tells you exactly what to buy and how to use it. Winter may also leave behind dull, dirty surfaces on and around your home. Is your siding looking dingy? Deck looking dirty or dull from the sun? First, wash these surfaces and see if that improves how they look. If not, consider staining your deck or replacing parts of your siding. Doing these things now can help ensure that by the time cookout season is upon us, your home and deck will look great for guests! Is your lawn more brown than green, with bare muddy patches and areas of dead grass? Now is the time to spread some grass seed so that the spring showers will help it grow. If you’ve never grown grass from seed before, this simple lawn-planting guidewill help you get started. Are your flower beds looking bare? If so, brighten them up with your favorite flowering plants. And flowers aren’t just for the garden, either! Consider installing window boxes on the first floor windows, and plant some flowers in there. Or, buy pots of flowers that you can use to decorate the front porch or back patio or deck. When you’re dealing with spring cleaning tips, you’re bound to get a little dirty! Once you’ve planted flowers, there’s still one more detail you need to do to make your garden look great. Last season’s mulch probably looks dingy and sun-dulled by now. Purchase some fresh, new mulch for your garden. Since fresh mulch is generally darker than older mulch, it’ll really help the flowers’ colors pop! Add some details to your outdoor space that are fun and whimsical. Consider a garden gnome or outdoor statuette of your favorite animal. Hang bird feeders from trees, or place a bird bath in your backyard. Hang wind chimes or a pretty outdoor mobile. Light up your space with tiki torches or solar-powered string lights. The possibilities are endless! This is especially important if you’re thinking of putting your home on the market anytime soon. Once all these details are completed and your home looks its absolute best, take photos! That way, when you decide to sell your home, you’ll already have pictures of it looking great. That’s even more helpful if you eventually sell during a winter month, as people will want to see what your home looks like during the warmer months! Get your home ready for the spookiest month of the year with this list of to do’s. It’s official. Summer is over, the kids are back to school and the leaves are beginning to change. October is upon us–the month of crisp fall weather, spooky traditions, and cozy moments at home. Here is what you need to know to get your home ready for the pookiest month of the year. 1. Don’t Fall Behind on Your Garden – Just because the summer months are over, it doesn’t mean that you have liberty to neglect your yard. Spruce up your garden by planting chrysanthemums which bring an added pop of color to the fall landscape. Add a few dried corn stalks to a lamp post or mailbox for natural decor. As for those potted plants that have been living outdoors all summer, start transitioning them indoors now with these 4 easy steps. 2. Reorganize the Garage/Attic – It’s time to tuck the beach toys behind the rakes and shovels. Bring the Halloween decorations down from the attic and stock up on on-sale gardening products for next spring. As always with any reorganization project, be sure to evaluate how much use particular items got this summer. If necessary, donate unused or unwanted items and trash broken tools and supplies. 3. Collect Your Costumes – Decide on a costume early, before the stores are picked over and supplies are low. Try on all the moving pieces to make sure everything fits and make plans for cooler weather, if necessary. 4. Spooktacular Halloween Decor – Halloween is all about making your home spooktacular. That said, it can be easy to do a little too much. Not to worry, we’ve got the guide to decorating for Halloween without going overboard. If you’re looking for even more decor ideas, try the Coldwell Banker Holiday Home Decor Ideas pinterest board. 5. Touch Down! – That’s right. We’re telling you to watch football. But, before you wave the white flag and surrender to your Barcalounger in front of the flat screen all day Sunday, read our Father’s Guide to Fantasy Football Enjoyment in a Crowded House. 6. Champion your Meal Calendar – Now that school is in full swing, your family calendar is crowded with soccer games, Halloween parades and piano recitals. Getting everyone to the dinner table at the same time is an epic challenge. Make dinner prep easier by mapping out your meal plan a week in advance. If you know football practice may run late on Monday, make extra portions on Sunday night for easy heat & eat the next day. Hey, there’s even an app for that! 7. Get your Fireplace Ready – This is the time for cozy nights at home by the fire. Make sure your fireplace is ready for those cooler nights by following these 3 steps. 8. Get Cozy! 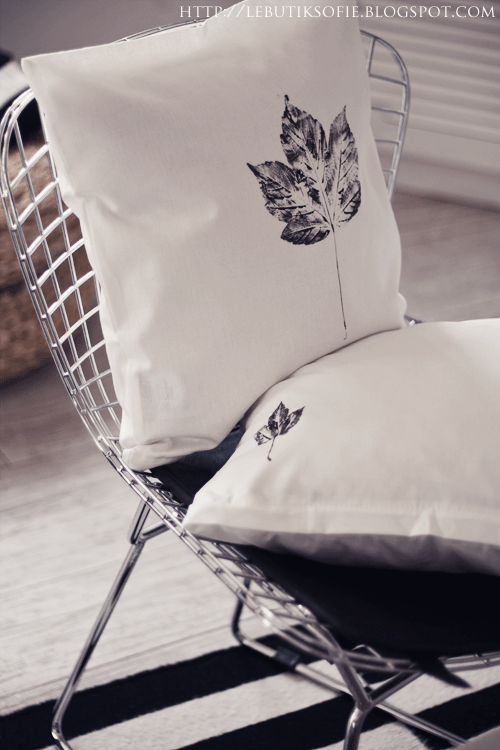 – Switch out your lighter bedding for wamer, cozier linens. Swap your light down blanket for a heavier duvet, add a faux fur throw blanket at the base of the bed and use linens made of cozier material like flannel or wool. Looking for inspiration for a cozy fall bedroom? Try our Beautiful Bedrooms pinterest board. 9. 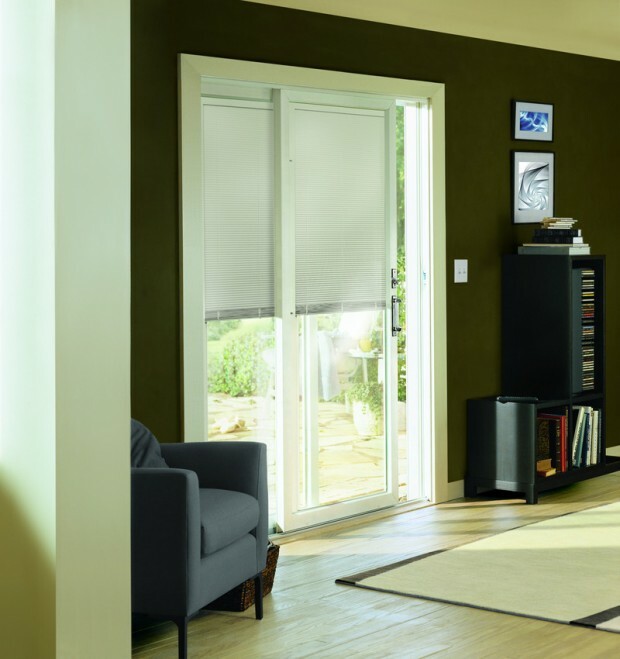 Weather Proof your Home – Before the colder months set in, check weather stripping on windows and doors. Also be sure to caulk cracks and gaps in siding. For those in coastal areas, be sure that your home is ready for Hurricane Season by following this guide for Hurricane preparedness. Buy local! Your guide to farm fresh veggies and fruit. Durham Farm Fresh has created a seasonal availability schedule that shows the average growing times for each farm fresh product. Keep in mind that weather conditions can alter these times. Durham Region is home to some of the most talented and innovative farmers in Canada. Many of the farms have been family owned and operated for many generations. Farming is truly in the blood of Durham Region and we are proud to represent such a dynamic group of farmers. Farmers’ Markets are unique in that they bring together communities every week, all for the love of farm fresh food! Durham Farm Fresh represents farmers’ markets throughout the region, which many of our farmers attend. Visiting farmers’ markets is a great “one-stop-shop” and the easiest way you can support your local farmers. Chefs and restaurants in Durham Region know the importance of supporting local farmers and farmers’ markets. The food not only tastes better, but buying from farms keeps money in the local economy. Durham Farm Fresh hopes to strengthen the relationship between the farm and the table by representing the chefs and restaurants that support local farms. Check out whats in Season Today and Support our local farmers.